Our Cali collection was inspired by (well, what we imagine to be) sun drenched Californian skies, lazy days spent sipping cocktails on a palm tree shaped lilo in a turquoise swimming pool surrounded by our nearest and dearest. Cali's first colour way was a mix of neon red and coral, we realised this may not be to everyone's taste so we've also included an example of an alternative colour scheme. 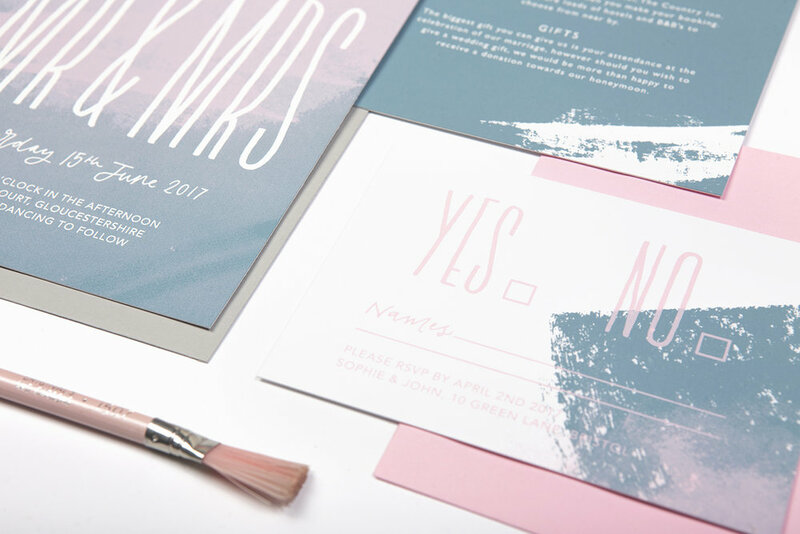 Like with all of our designs we can change the colour palette to suit your theme. Ink colours - Neon red and coral or whatever you fancy!